Inspired by everything that Byourbed's Coma Inducer® truly is.... Plush. At the very core, Coma Inducer® represents bedding that is by definition "PLUSH". Some bedding is just so good it doesn't require anything more than a straight to the point name. Although "Plush" can't be trademarked because it's descriptive, there was simply no other name to describe this version of our Coma Inducer®. 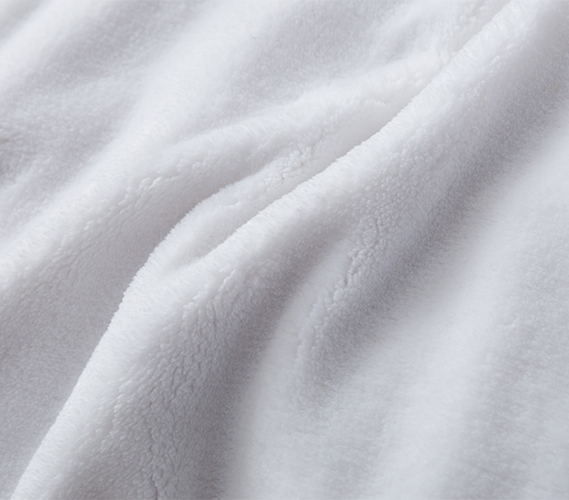 The thick, furry-like, silky soft fibers create a bedding so comfortably cozy that simplicity won out... Enjoy heavenly sleep with our "Plush" styled Coma Inducer®. And plush dorm bedding is just what you need to help you get a great night's sleep in your college dorm room. 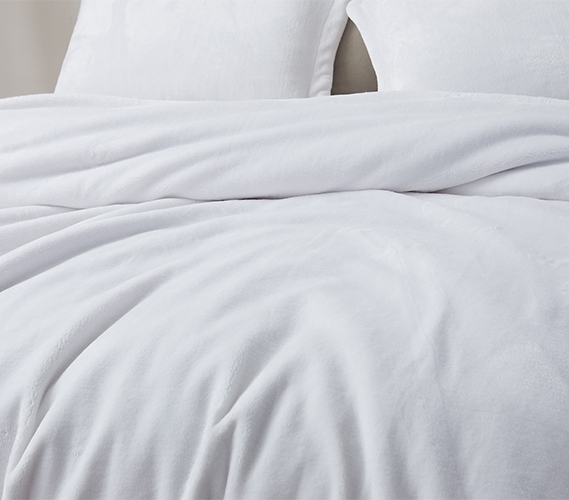 Our Coma Inducer Twin XL Duvet Cover - The Original Plush - White is the perfect size to encase your oversized Twin XL comforter in this incredible plush material that will make you obsessed with the comfort of your college bedding. As soon as you put this college duvet cover over your dorm comforter you'll automatically notice the upgrade in comfort to your Twin XL sized bed. This college comforter set also comes with a matching standard size pillow sham to give you an ultra cozy place to lay your head at night. The thick and silky soft fibers that make up this must have Twin XL bedding set will give you the softest college bedding. This white Twin XL duvet cover is also an essential part of your dorm room since it will be encasing your college comforter. This protection is crucial as you will most likely be hanging out on your dorm bed a lot throughout the semester. 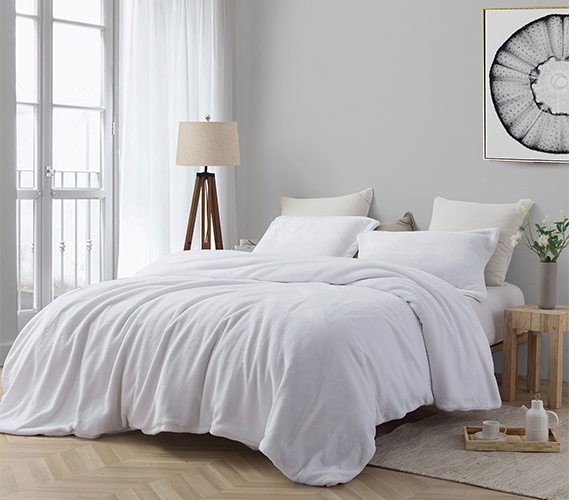 This white Twin XL duvet cover will not only protect your dorm comforter from outside harm, but it will also let you add beautiful white college bedding that is easy to keep clean. With no inner fill of its own, this cozy Twin XL duvet cover is as easy to machine wash as your dorm room sheets! So now you can enjoy the pretty look of white dorm bedding without fear of it getting messy since this college duvet cover is easy to put on and take off of your Twin XL comforter.